The other two candidates, who might be all-stars, are probably not as worried as you are about their chances of getting the job. They’ve done their homework and realize they have the better resume. But because they feel so secure, they’re probably resting on their laurels. You, on the other hand, are sweating, trying to figure out how to show your best side - investing all you’ve got to get the job. So it’s actually your own uncertainty that’s giving you the upper hand. Not sure how to invest your energy while your competition is asleep at the switch? Read on. 1. 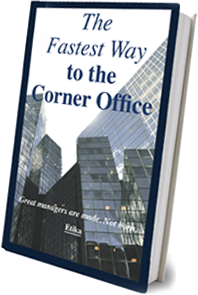 Get a more objective look at your current position. 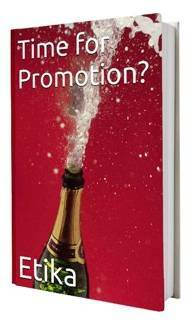 Are you really ready for a promotion? Don’t necessarily take your own word for it. Instead, fill out this short questionnaire I’ve developed. 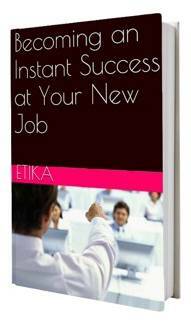 It’ll give you insight into how others in your organization might see you - and hopefully a fresh perspective. You’ll get a truer picture of yourself as a candidate and will be ready to take on the next steps. 2. Conduct a competitor analysis. Find out who your competitors are within the organization and then formulate a list of what their advantages might be over you. Some people have a tendency to underestimate their competitors. The danger here is that it can lead to a false sense of security and keep you off your toes. After you finish this list, write out what your advantages are over your competitors. While this process might be relatively easy for internal competitors, finding out the appropriate information about external ones can be more difficult. Do the best you can, as the result of this mapping is critical. So get yourself busy, not leaving any potential stone unturned. 3. Invest in personal branding. 4. Consider approaching your direct manager. In most cases, your direct manager can positively influence the promotion process. But be careful, because this isn’t always the case. It really depends on how your direct manager is seen in your organization and how much their opinion is valued. If it isn’t, don’t waste your time influencing them. And don’t forget that in some cases, a recommendation from a less regarded manager can even damage your candidacy. However, if your manager does have some clout, it is important you approach them with your aspirations for promotion, so that perhaps they can put in a good word for you. 5. Identify the movers and shakers in your organization. In every organization, you can find movers and shakers. Such movers and shakers might carry executive titles, while others influence things behind the scenes, often through personal ties. Your job is to identify this second group of employees. Here’s a hint: they’re usually the confidants of those higher up in the chain of command. Once you know who they are, make sure they know of your desire to be promoted and clearly justify why. Then hope all of this is passed on to your organization’s decision makers. 5. Go above and beyond . Volunteering to take on a special project at the right time and place can result in both an immediate and roaring effect. Just be aware that the boom can peter out rather quickly - especially in today’s dynamic business environment. Nonetheless, it will most likely “put you on the corporate map”, acquainting others who don’t know you with what you have to offer. When it looks as if the other candidates have the upper hand, it’s natural to feel you don’t have a shot. But the problem with this feeling is that it really impacts your behavior and sure enough, you’ll walk around acting as if you don’t actually deserve a promotion. That’s not the way to go. Instead, try out my advice - and your chances of getting that promotion will increase. And instead of feeling hopelessness, use your energy to think about how you can and will work towards reaching the coveted corner office.